Many metric bolts denote the use of metric measurements with an "M" at the start of the bolt designation, such as "M9x1.2x15." Metric bolts list measurements in millimeters. Besides using metric measurements, a metric bolt uses the distance between the threads rather than the thread pitch, used in American measurements, which is the number of threads per inch. Determine the diameter of the bolt by looking at the first number. 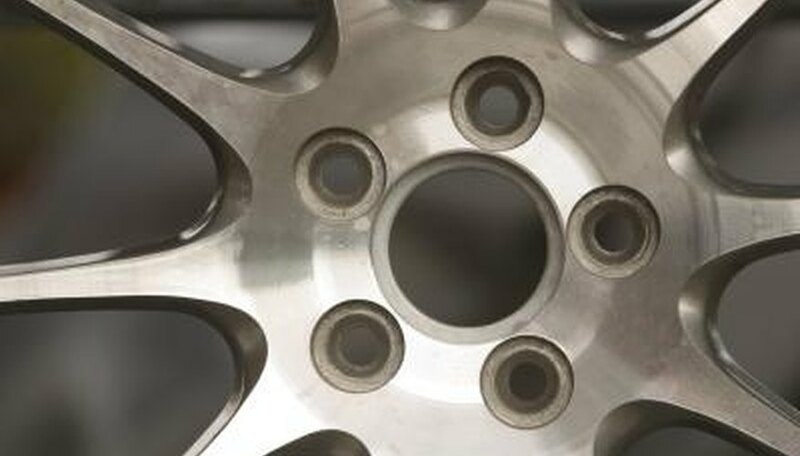 For example, if the metric bolt was M14x1.5x25, it would have a diameter of 14 millimeters. Determine the distance between threads by looking at the second number. For example, if the metric bolt was M14x1.5x25, it would have 1.5 millimeters between threads. Determine the length of the metric bolt by looking at the third number. For example, if the metric bolt was M14x1.5x25, it would have a length of 25 millimeters. Look on the bolt head for the number denoting the strength of the bolt. The bigger the number, the stronger the bolt. Do not try to use metric and American bolts together. They will not fit exactly. Kennan, Mark. "How to Read Metric Bolts." Sciencing, https://sciencing.com/read-metric-bolts-5564907.html. 24 April 2017.